What the heck is a buyer's guide Sarah? And what's that got to with selling more courses? And is this some of that hard work you're always talking about? All these questions and more will be answered in this post, grab a hot beverage of your choice, maybe a sandwich as we're going to go over a * lot * and then sit back and read, make notes, jot down ideas. You'll not only discover why you need to create buying guides, you'll know how to write them so that they transform your course marketing and sell more of your programs to all the right people. Oh, and you have the opportunity to nab a handy worksheet to help you create the best possible guide at the end of this post. 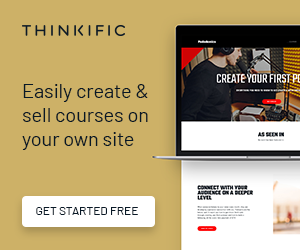 Why Create a Buyer's Guide for Your Courses. An educated customer is a better customer. Really. They know what they're looking for and they make better decisions. They also remember you fondly as the person that helped them, even if you don't know who they are. They talk about your business; boost your word of mouth. They'll also share this particular piece of content online, save it on their smartphone or desktop and grow into an evangelist for your business. Online, this type of content gets more links and boosts your site's visibility because they're not small pieces of content and they're incredibly valuable. They're traffic drivers and they make everyone, including you, feel good. Who uses a buyer's guide? A buyer's guide is used by someone who wants to buy, they're not browsers or tire kickers, they're a group of people who haven't got time to do the usual research and ask friends for their opinion, they have a need, they know the solution and they want to get the best product fast. They're the educated customer, the kind that will spend a little more because they know precisely what their problem is. Because they know their problem, and they have the desire to fix the issue (to make it go away), they will search differently to someone who is browsing or whiling away the time until the next episode of The Good Wife comes on. They actively seek out buying guides. Why? Because a buyer's guide simplifies the process for your customer and answers all of their questions about your course in one convenient place. Nothing demonstrates expertise in any topic better than a buying guide, which makes the next step – to buy your course – natural and organic. What's in a buyer's guide? Everything that's relevant. Take this article, for example, you're new to buyer's guides so this article is going to go through all of the basics of writing one. To help you take action and get results there's even a worksheet at the bottom of this post! For someone who is an experienced writer, the buying guide information they're looking for will be different. They will be looking for information about how to make buyer's guide convert better, they'll also be looking at the design of the buyer's guide and other factors that we'll only touch upon lightly here. Different buyers have different needs. A buyer's guide can be a blog post, it can be downloadable, and it can be both. It can be multi-media, and it should absolutely be what your target market is looking for. It should not be light and fluffy. 11 words and 49 pictures is not going to cut it here; you cannot fake a buyer's guide, and if you try to, it will backfire on you. In content creation terms this is a more advanced piece of content marketing, it's not really suited for a beginner. If you're new to this, bookmark this page, go create some content and then come back to it later on. What type of buyer's guide are you writing? The easiest one to start with is the one that you have products or services related to, and the one that suits your ideal customer. Mine could be “Parent Works: Blogging Guide For New Dads to Capture Every Memory”. You don't need to actually call your buyer's guide by this term. You can also use recommendations or “how to choose”. Using my example I might call it “Hosting Recommendations for Dad Bloggers” or “Dad Bloggers: How to Choose Hosting”, or “Hosting comparisons for dad bloggers”. Don't call your guide the ultimate guide unless it really is the ultimate guide. The next step is some research. You'll search for your product's keyword or name and the word “problem”. Make a note of some of the problems that your ideal customers are facing. Not all of the problems that are being addressed, but the ones your ideal customer is going to be affected by. In this example a business blogger will have different needs to a dad blogger, I'll need to separate the two out, and list them in two individual documents (if I want to create another buyer's guide later, my research is half done). Add in the phrases that you'll call your guide and see what comes up. Remember to check the images, video and shopping options as well as just the web search and note down your findings. The next step in the process is to answer your buyer's questions in the content. Why would someone want this product or service? What problems does this product resolve? What unique features does this product or service offer? How does it differentiate from all the others on the market? What can this product be used for? Be very specific about the circumstance the course can be used in, and what it's not suitable for. Are there other deciding factors when purchasing this course? Links to buy the course – If your guide does what it's supposed to do, then make it easy for them to buy! Can the reader contact me easily? What links will help the reader? What images do I need to add? Will video help my reader make a better decision? Use the worksheet to help you with this. Then sleep on it. The next day concentrate on editing. Eliminate everything that's irrelevant and doesn't make sense. And then sleep on it. You can see why this takes time now! Don't faff (a technical term) with the format of your guide until you are 99% happy with your words and the images. If you don't have the time, this project is worth outsourcing to a copywriter. Find a copywriter who specialises in your industry as they already know and understand the linguistics around your niche. They understand what you're trying to convey. If you want to write your own buyer's guide and you're not confident, do it, and then hire an editor. I recommend asking in your community for a recommendation. You need a critical pair of eyes to make sure your buyer's guide is easy to read, relatively jargon-free and understood by your potential new client. If your guide is a blog post or web page, you might want to take a look at tools like Thrive Content Architect to help you create a great looking landing page. Make sure you include headings, subheading, bullet points, and nice coloured boxes to call out the highlights. Images and video in each section will make your guide more impactful. As a downloadable you can use tools like PowerPoint from Microsoft to create a template and then add your words to it. If you do create a template, remember you can use it to keep your branding consistent, plus your next guide will be faster to create. Make sure when you put your guide together you add in the relevant links and calls to action to buy your course. Once you've created your guide you need to market it so that your ideal customers see it. You'll need to share it regularly across social media. You should also ask people in complimentary industries to share your guide if they hear of anyone looking for your course. Email the guide to your existing subscribers and encourage them to share it if they find it useful. Most people are happy to share valuable content, it helps them build a stronger following. PowerPoint is also great for creating infographics and you can adapt your finished guide to a visual infographic to gain more traffic from sites like Pinterest. Your buyer's guide will generate traffic, leads, and sales of your course with smart marketing. Share this post to grab your free worksheet to help you create an effective buyer's guide to sell more of your courses. PDF-ebook-buyers guide Right click and save as to access your free worksheet. Enjoy!